Legend of Zelda: Golden Touch Handbag Brings the Old School Cool | Nerd Much? If you’ve played through and are a fan of the original The Legend of Zelda, Merchoid has a hot new accessory that’ll have you cashing in all of your rupees. The site’s Legend of Zelda: Golden Touch Handbag is a purse that’s not only awesome, but it’ll also earn you some old school gaming cred. 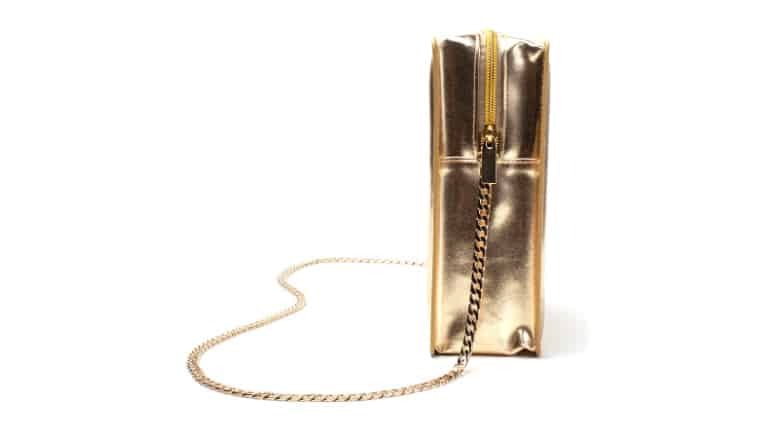 The entire Legend of Zelda: Golden Touch Handbag is a reimaging of the original The Legend of Zelda’s gold cartridge. The design is spot on with every aspect of the original NES cartridge being brought over for the purse’s design. Many fans think the gold cartridge was a limited edition design, thus making a copy rare. But it’s quite the opposite actually. When The Legend of Zelda launched in the United States for the NES in 1987, it was only available on a gold cart. Thus there are millions of them in the wild. 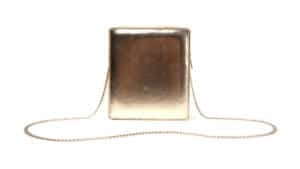 It wasn’t until 1992 that the game appeared on a gray cartridge when it launched again on the NES as part of the system’s “Classic Series” of games. But enough about the game itself, let’s talk about this handbag. Some may find the completely gold design gaudy, but I find it gorgeous. It screams royalty just like the name that’s adorned upon it. It features a zipper design to keep your items secure. And there’s a gold colored braided strap so you can throw it over your shoulder with ease. 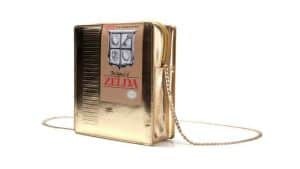 The Legend of Zelda: Golden Touch Handbag is officially licensed Nintendo product, so you know the quality is there. And just like all of Merchoid’s products, the purse comes with a 100 day no hassle return policy with a full money back guarantee. 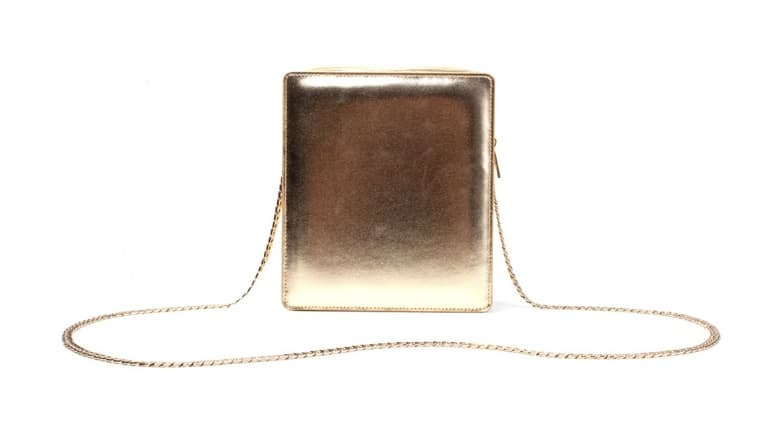 Merchoid has the Legend of Zelda: Golden Touch Handbag listed at $44.99 with free shipping included.